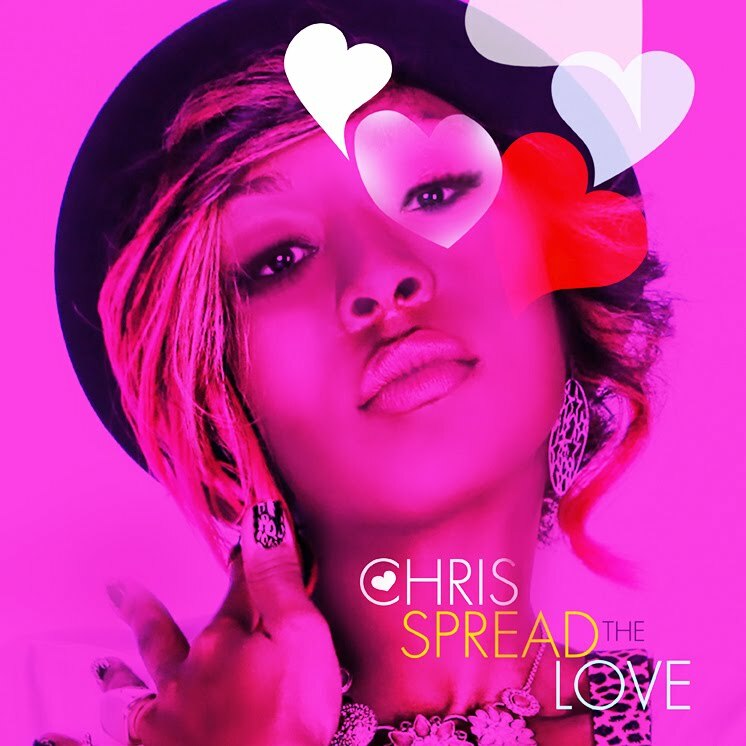 Urban Pop Artist Chris Releases Debut EP "Spread the Love"
When you press play on “Spread the Love” you will be greeted by the percussion-infused up-tempo lead single from the EP, “Yea Ok.” The other records featured on the EP are titled “Swag Is Up”, “Ask Me”, “808”, “Put It On Me”, & “#LEZGO”. The slow R&B groove of “Ask Me” sets it up as a favorite for listeners and a clear indication of the capacity this young star has to experiment with a number of different genres. With this project, Chris is definitely striving to prove to people that the love is still paramount, it lives in the music and will continue to grow once you chose to spread it to others. When asked who her favorite artist is or who she is most often compared to, Chris immediately states, “Aaliyah! She is one of my favorite performers and I have always loved the writing and production on her albums. She was able to make urban, percussive music that was still popular and could crossover. Another favorite of mine is Janet Jackson. She can do a song in any genre and it makes sense. That flexibility and freedom of artistry makes her really timeless in my eyes. I also like what I am hearing from a lot of the ladies at the top of the Pop game right now. Beyonce, Rihanna, Katy Perry, Avril Lavigne, Ke$ha, etc. I hear a lot of great music coming out and it is really inspiring.” With a list consisting of such talented women, Chris is destined to have success as she has open ears, an open mind and a strong desire to explore and experience a world filled of ever-changing music. To download “Spread the Love”, please visit www.chrisworldmusic.com and follow Chris at @chrisworldmusic. “Spread the Love” was released at 3:33p and is available for FREE on Chris’ website, www.chrisworldmusic.com. Soblu Music Group is a boutique record label based in Washington, D.C. and owned by entertainment conglomerate Soblu Inc.